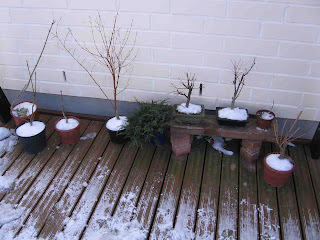 Last weekend I decided to move my deciduous trees back outside as the night temperature had been only minus 2-3°C for a few days and the day temperatures a couple of degrees above zero. On this basis I got excited at the prospect that spring was finally coming, but sod's law that very evening the night temperature was then back down to minus 15°C. Fortunately the trees are placed next to the house so I hope it wasn't too cold for them. All winter they have been in the garage and even on the heater bed I made, which was turned on when the temperature inside the garage got close to minus 10°C, and then in one night I could have undone all of my hard work. 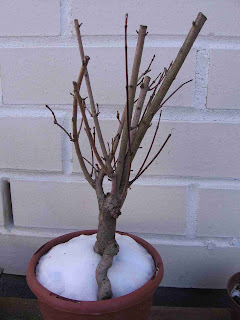 Even today the snow is still coming but I hope soon that it will change quickly so I can start to do the repotting jobs that I have planned before the buds start to open. On most of the trees it is clear that the buds are starting to swell, but the buds on the Amur maple (Acer tataricum ginnala) are not yet showing any signs of swelling. I hope that it is just too cold for them to start appearing yet and not that the tree has died. 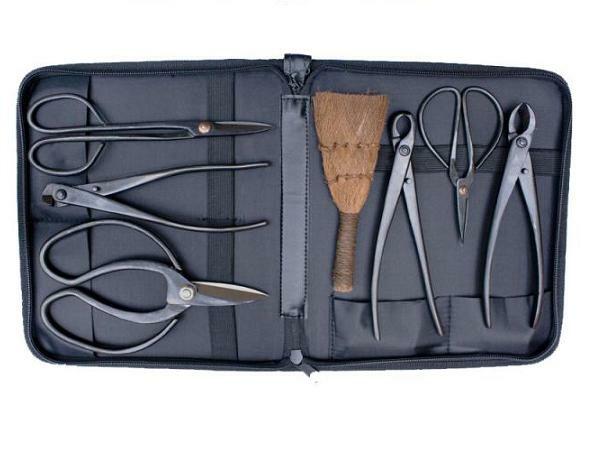 I like the look of this trunk and it would be a pity to loose it. This tree was repotted last spring so this year I was planning to cut back the long thicker trucks to develop more smaller brackets. I will do this in the next week in readiness for spring when the energy starts to transfer from the roots back to the brackets for generating the new leaves.